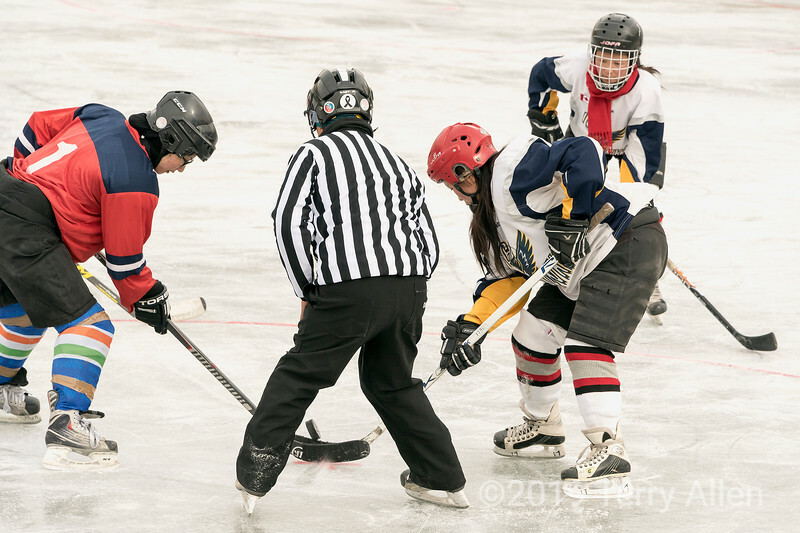 My new 'career' as a sports photographer continues with this shot of the referee dropping the puck during a face-off. Sorry, no fights occurred between the ladies, so i didn't have a chance to practice my skills on a hockey fight. Well, you certainly caught the action very well, so maybe the next career is as a sports photog. LOL I can see you doing rodeo too. I think that would be fun, but I'm not sure my asthma would let me do that since there's so much dust kicked up in the arena. We will be looking for your coverage in "Sports Illustrated" any day now! Neat capture! Do we see a "face-of" between the hockey players and rodeo riders soon?? Fun to see you shooting something so unlike your "usual" subjects. That's a weird to say, actually, because you shoot almost everything! Hm, this image seems to have gotten lost...I'll try again. Thanks for looking and commenting; much appreciated!